Home » Blog » Cloud Storage: What are the Security Risks for Your Business? Using cloud storage is a popular option for many businesses and while it offers a number of benefits in terms of convenience and easy access to information, it’s not without its risks. 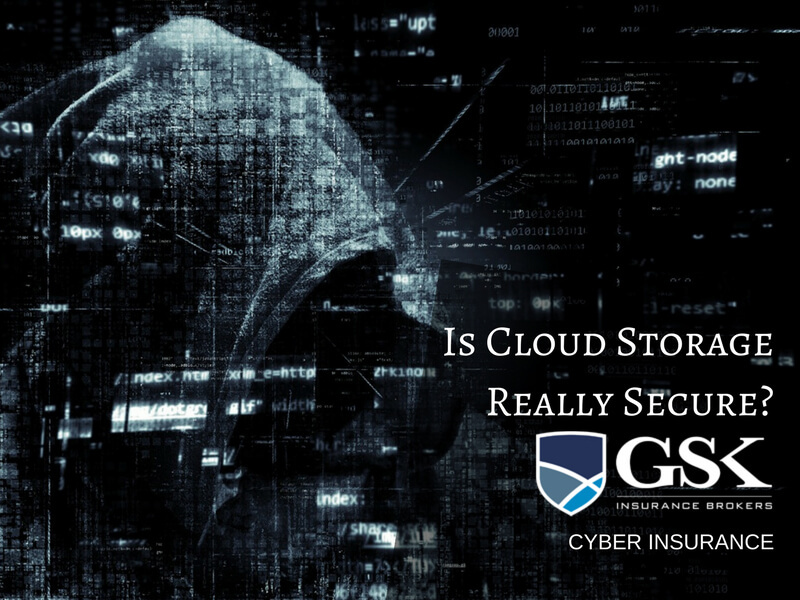 While cyber insurance can protect you from the financial fallout of cyber attack, it’s best to be fully aware of the risks involved in your cloud storage system so you can make an informed decision. With that in mind, let’s take a closer look at the potential security risks for your business when you use cloud storage. Data breaches – One of the most serious issues that can arise from cloud storage is a breach of sensitive data. Any breach reflects very badly on your business and can have serious ramifications when it’s revealed that sensitive information has been accessed. Data loss – A less common occurrence with cloud storage is data loss which could be the result of cyber attack, a natural disaster such as a storm, or an accidental data wipe. Account hacking – Your cloud data storage will include the login details and credentials of your and your employees which can result in various accounts being remotely hijacked. Connection issues – Because cloud storage relies on the internet, if your business encounters connectivity issues with the internet then that also leads to issues of being unable to access your data. Malware issues – An increasing issue with cloud storage is malware injection which allows attackers to gain access to data. It’s important to note that in some cases your security will actually increase if you choose cloud storage depending on your cloud provider which is why you need to have confidence in your provider if you go ahead with this storage system. Take the time to research the various cloud storage providers so you have confidence that your security risks will be minimised. You can also look into other storage options such as using a server. For cyber liability insurance Australia, GSK Insurance Brokers can help. We’re a passionate team of brokers who are dedicated to providing our clients with the best insurance cover at a competitive price and we have established relationships with top insurers. to ensure the deal possible. If you think you may need cyber security insurance, or any other form of cover for your business, have a chat with one of our brokers. For cyber insurance in Perth, speak with the team at GSK Insurance today on (08) 9478 1933.